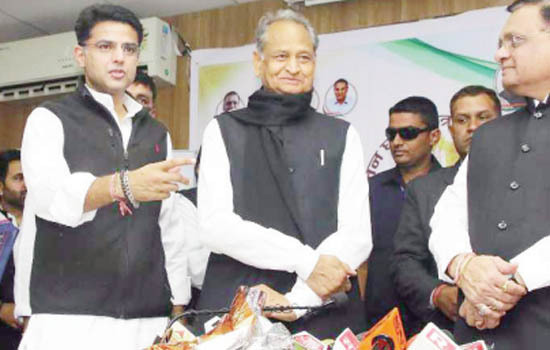 JAIPUR: State Congress President Sachin Pilot on Sunday said the panel of probable party candidate for upcoming Lok Sabha elections will be made on suggestions received from workers and office bearers. Thereafter, the panel will be submitted to the Central Election Committee of AICC. He said in February, Seva Dal national meet will be held in Ajmer, which will be attended by Gandhi, and thereafter, a Youth Congress meeting will be held in March at Udaipur, and like of other departments and frontal organizations, where Gandhi will be invited. Pilot said immediate decisions were taken on suggestions received during the meeting held for Lok Sabha elections related to farmers, jobs, water, and electricity. “After the assembly session, the ministers, besides their constituency, will visit districts of which they are in charge and work to resolve problems after discussing with workers and office bearers,” he said. He added that the government will complete development works on suggestions received from party assembly candidates. Soon the Constitution of a block and booth units at the district level will be completed and important responsibilities will be given. Chief minister Ashok Gehlot said Congress is fighting against the fascist powers and for that, the working has to be changed by strengthening the lower level of the organization. “The state government in coordination with the party organization will take all the decisions. The district Congress committees in consensus with the MLAS and block committees should get a proposal passed and submit to the government so that they can be redressed immediately,” he said. Till date, 14 lakh people were benefitted from the pension but after the government’s decision the number now has increased to 64 lakhs, said Gehlot. “The state party organization should soon call a representative meet so that important suggestions can be received, which will help in taking the decision in the interest of public,” the chief minister said.